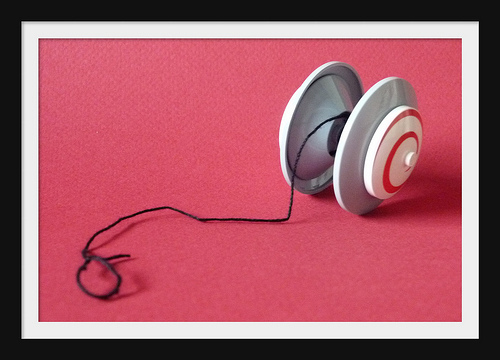 Lino Martins (Lino M) claims this Yo-Yo is 100% LEGO and who are we to argue? I’m also wondering if this model doesn’t have the fewest pieces of any we’ve blogged here. And to let you all in on a personal shame: if you give me a yo-yo I will be ‘that annoying yo-yo guy’ until it breaks. Not the one who can do tricks, the one who just makes it go up and down constantly. I get so mesmerised. I’m the same way with yo-yos. I can’t do any tricks either, but I love watching them go up and down. Probably is indicative about my mental state or something, but I love them. If you give me a yo-yo, it will go down once and not up again. I am clueless, have never mastered the craft. Probably indicative of my fine motor arts, so I have always hated them.